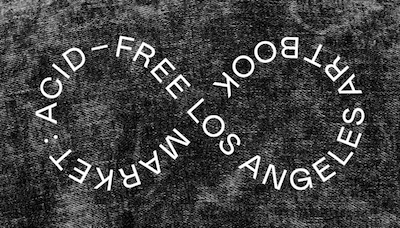 While the art book community in Los Angeles isn’t especially big, it is significant enough to dominate the 70 stands of the brand-new Acid-Free Art Book Market. The three-day event will take place from May 4 to 6 and is organized by various members of the Los Angeles art community. These include independent publishers New Documents and DoPe Press, stores like OOF Books, and blue-chip galleries Gagosian and Blum & Poe, which will be hosting the events.